As it turned out, I had even been there before although it was well before I had moved to Colorado. Back in 2003, I was in the Denver-Boulder area for a wedding, and climbed at Rock’n & Jam’n with my friend Ken who was living out in Denver at the time. 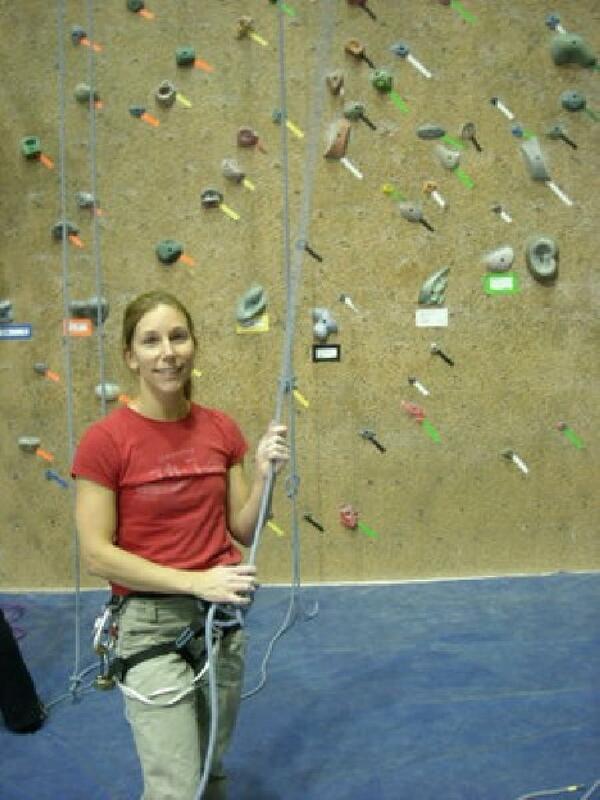 I even managed to find my belay card from back then, so when I climbed with Lisa, I didn’t even have to retake a belay test. It was nice being back here. It didn’t look much different inside, though I only have vague memories from 2003. This time, Lisa and I came during off-hours (defined as before 3:30 p.m., when day passes are discounted to $10) and it was uncrowded. In two hours, we jumped on six climbs: a 5.8, 5.9, 5.10-, 5.11-, 5.10, 5.10-. 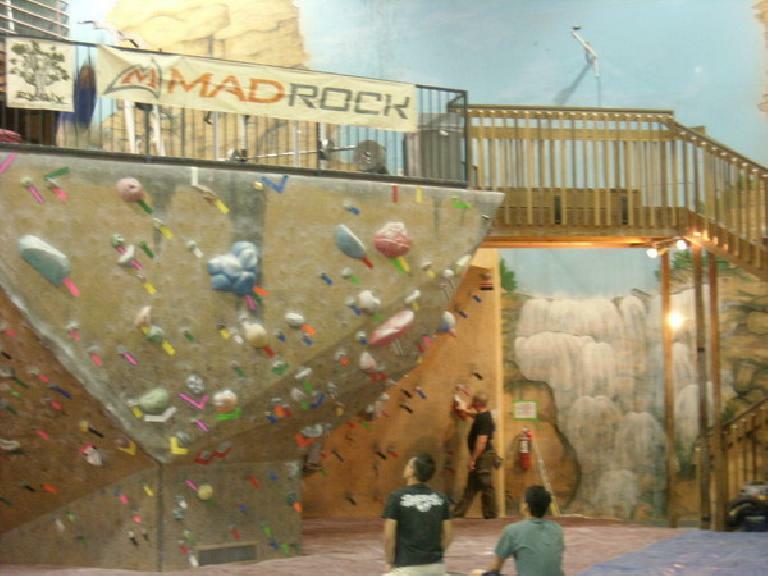 The climbs seemed easier for their ratings than the Inner Strength Rock Gym in Fort Collins by a little bit (e.g., I thought the 5.11- was more like a 5.10+). Despite not having climbed indoors for a little bit, Lisa was able to do most of the climbs we did because she is buff! Seems like all the weight training and CrossFit workouts she’s been doing have been paying off. 100 pull-ups (20 sets of 5). They were of the unassisted type. 150 push-ups (5 sets of 30)—real ones, not the push-ups done on one’s knees! Man, and I thought my workouts were intense! 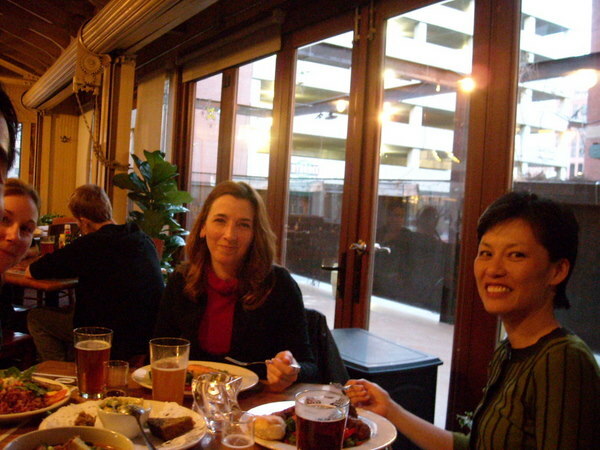 Afterward, we headed over to a brewery in downtown Denver to meet up with Tori and Ida. It was fun having beer and dinner with three climber chicks. We will definitely have to do this again soon.